Willow and Dove create handmade sweet treats, which are naturally free from gluten, dairy and egg. 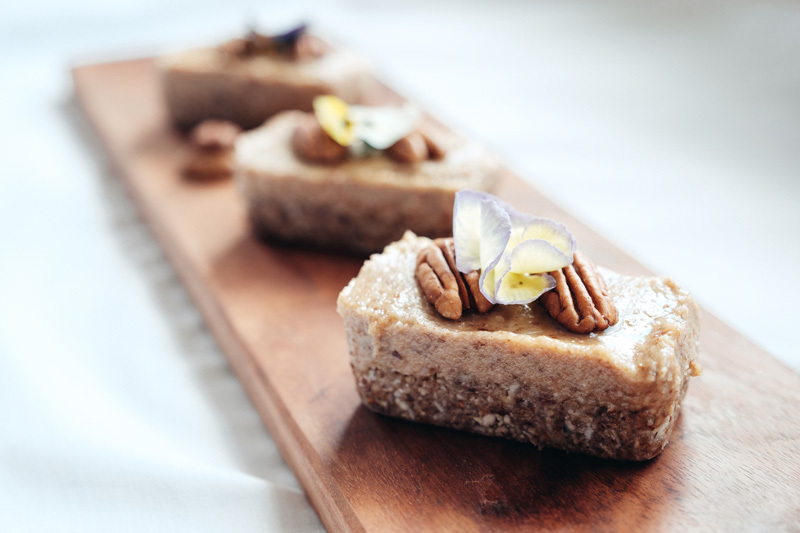 Founded by Rebecca, whose passion for food and cooking from an early age led her to become a professional chef, hand-makes all of the chocolate using unroasted raw cacao powder, cold pressed cacao butter and agave nectar. Each month a selection of new treats and seasonal variations are introduced to compliment the classic range. What led you to launching Willow and Dove? I researched the food markets in my hometown of Nottingham and was excited to find a vegan market had just launched so I put together an application and now have a monthly stall, which I love running! What inspired the name ‘Willow and Dove’? The name stems from quite an unusual source! It was a hot summer, and I was brainstorming names for the business in the garden whilst listening to the cricket. The presenters were talking about the willow used to make cricket bats and I liked the name and played about with variations until I settled on the ‘dove’ part – I liked the sense of freedom it created. Your sweet treats are so creative! Where do you get your inspiration from? Thanks! I stay inspired by reading lots – I’m a bit of a geek when it comes to cookbooks – I have a stack by my bed which I read like novels! I spent many years travelling which I documented in travel journals – many of which have quite detailed descriptions of food and drink or unusual flavour combinations such as a ginger and black sesame ice cream, which I had in Cambodia. Can you explain your current range to us? 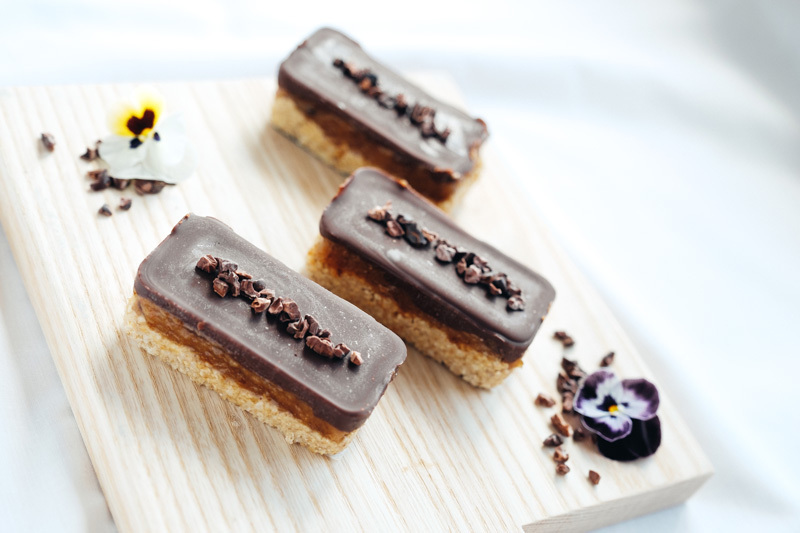 The starting point for many of the creations is taking a classical sweet treat such as the Millionaire Shortbread or Pecan Pie and playing with ideas on how I can create something similar without the use of gluten, dairy and egg. 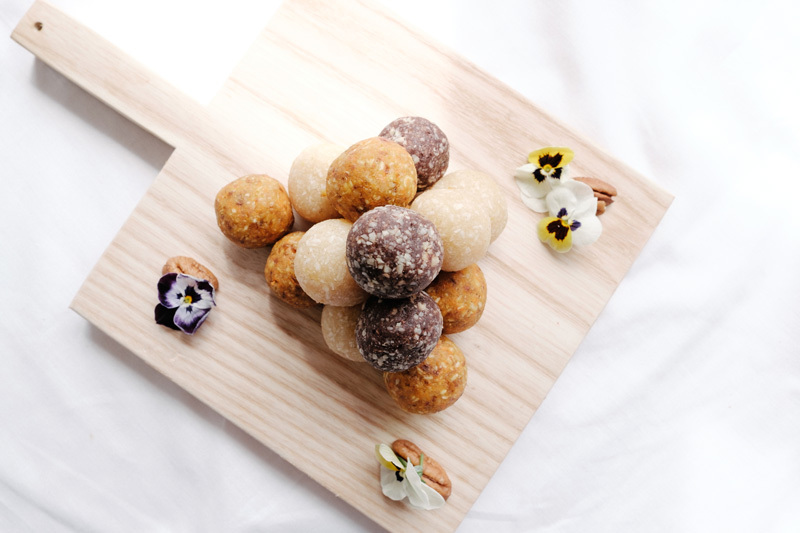 I also have some fun little snacks such as raw doughnuts and bliss balls in quirky flavours such as carrot cake. Why choose to make, raw, gluten and dairy free? I think there is now a growing awareness and consciousness on what we eat and enjoy, and especially in the case of sweet treats these are often laden with dairy, gluten and refined sugar which might give us an immediate hit of enjoyment but isn’t great when the mid afternoon slump comes! I felt inspired to create a range which had that sweet hit but less of the guilt. Have you noticed a growing demand for gluten and dairy free cakes recently? Yes! It is a really growing area and it’s great to see many cafes and restaurants are now providing more alternatives. Which is your favourite sweet treat? The raw millionaire slice. I started making the classic version when I worked as a chalet chef in the French Alps and loved experimenting with creating an alternative. I’ve swapped the caramel for one using Medjool dates and began experimenting with making raw chocolate. All the chocolate I use now is handmade and only uses 3 ingredients. What’s a typical day in the life of Willow and Dove? I balance Willow and Dove with part time work, the monthly vegan market in Nottingham is main event. The day before a market will be make day, which starts around 8am making the bases and caramels and a big batch of raw chocolate. In the afternoon, I aim to try and photograph some of the treats to use on social media over the coming month, design and print flyers and labels and then package up the treats! What do you enjoy doing outside of running your business? I’m involved with some fantastic local volunteering – I’m training to be a Girl Guide leader at the local unit and enjoy sharing my skills and inspiring the girls. I also help out at a community garden in the city which grows fruit and veg. I really love learning new skills and understanding where our food comes from and how it grows. What’s next for Willow and Dove? I’m currently working on a Christmas range experimenting with making some raw vegan Christmas cakes and little Christmas pudding bites along with little raw chocolate boxes for gifts. It’s my favourite time of year! Where can we find you and purchase your products? Find us the 1st Saturday of the month at Sneinton Vegan Market in Nottingham – I also welcome orders for celebrations and special events. Follow Willow and Dove on Facebook, Twitter and Instagram for all news and updates. Stay up to date with the latest ethical news, products and deals.